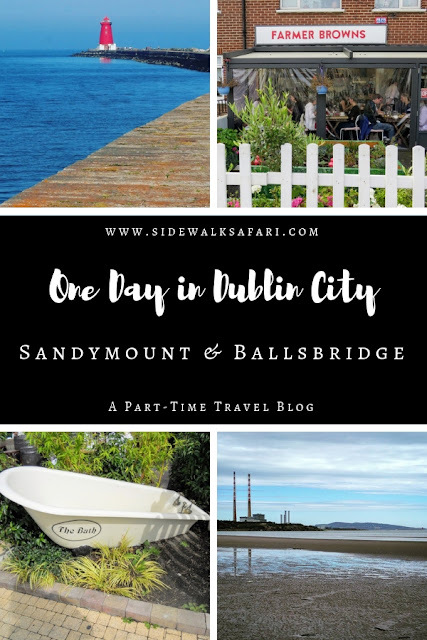 Sandymount and Ballsbridge are both close to Dublin City Centre and are popular with locals. For breakfast choose between two locals favorites: Foodgame and Farmer Browns. The Foodgame is always packed and does excellent expresso drinks along with a full Irish breakfast or eggs on toast. The owner, Ross, is always there and super-friendly. Sit with a newspaper and enjoy a leisurely start to the day. Farmer Browns is located just around the corner from Foodgame. Go to Farmer Browns if you get a later start. Foodgame opens at 8 am, while Farmer Browns opens at 10 am and is extremely popular for weekend brunch. Farmer Browns is generally packed within 30 minutes of opening on the weekend. You'll be ushered into a colorful dining room with artwork lining one side of the room and a giant mirror on the other (great for people watching!). Start with a well-crafted cappuccino with a sprinkle of Flake on top. Any place that puts chocolate crumbles on top of my coffee definitely wins points in my book! We also ordered an Americano which was dressed up in a flower covered glass. Farmer Browns features American-style comfort food. The French toast with bananas, candied walnuts, and bacon was an amazing treat. We also sampled 'The Healthy Option' featuring two perfectly poached eggs, salad with avocado over brown bread sprinkled with pomegranate seeds and bacon. 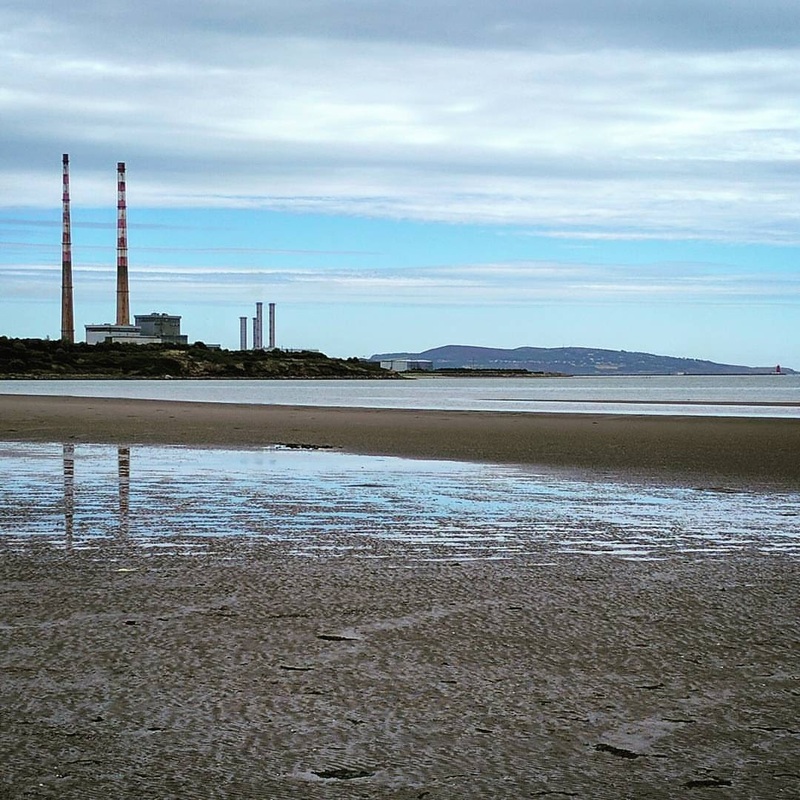 Head to Sandymount Strand next for iconic views of the Poolbeg smokestacks and the Irish Sea. At low tide, you'll find locals walking their dogs in the sand. Hug the coast for a heart-pumping hike out to Poolbeg Lighthouse. Poolbeg Lighthouse is situated at the end of Great South Wall which has sat at the entrance to Dublin harbour since the early 1700s. You can either reverse your steps and walk back or hail a taxi with the MyTaxi app to bring you to the pub. Order a well-earned pint at Mulligan's in Sandymount or the Bath Pub in Ballsbridge. Enjoy dinner close by at Junior's, Paulie's Pizza, or Chophouse. You can sit outside in the covered porch year round at Juniors because they give you a hot water bottle ("Hot Stuff!") to keep warm in the winter. I can recommend the tomato soup to start followed by roast squash risotto. It tasted divine. Paulie's is one of the most popular pizza places in Dublin and offers a range of imaginative pies served with beer or wine in a two story house. If you're looking for a good steak, The Chophouse is your obvious choice. The waiter will stop by the table with sample cuts of meat. The final product is presented with a flourish: tasting rich and juicy and served with chips (French fries for my readers from the U.S.). Finish the evening with a quiet glass of wine at the French Paradox in Ballsbridge. Intermediate: You should be able to comfortably fit in the activities recommended even if you don't get an early start. There is a far amount of walking involved in these itineraries to get from place to place. Learn about a one day Dublin City itinerary focused on non-touristy places in Sandymount and Ballsbridge. Explore favorite places that locals recommend in Dublin Ireland. 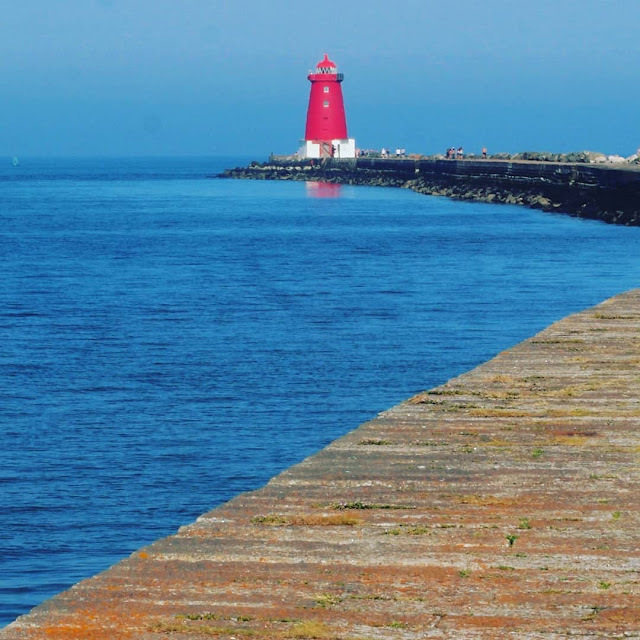 Take a hike to Poolbeg Lighthouse in Dublin.